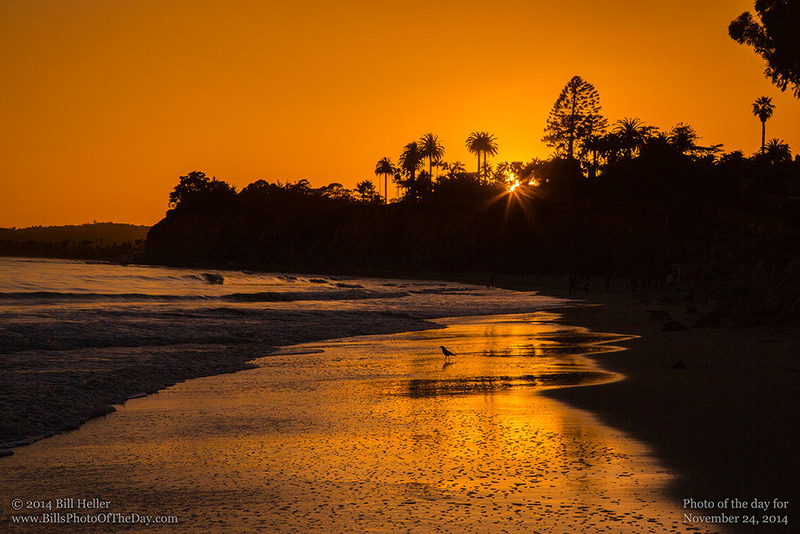 Everyone enjoys the beautiful sunsets here in Santa Barbara. There are always Sandpipers and Seagulls on the beach seeming to watch the sunset with us. But this particular evening there was a comical crow playing chicken with the waves. Sometimes they seem to forget they can fly, and their comical gait makes for quite a show when they're enjoying the beach.